To be honest I’m not too concerned about the Green agenda as we know it. Of course I care about the environment but at the moment I care a lot more about our country, the economy, our people, our children and our attitude towards ourselves’ and where we live. I feel we are in danger of losing sight of the good things about Ireland or at least forgetting what we have and how it is such a special country. At the moment it feels like we are all working in a company that is going into liquidation, we have to get on with our work but we know the place could fold any day. As regards being forward looking, what’s the point as who knows if the place will even be open next week? We urgently need a NEW Green Agenda for Ireland. As is the case in business with any objective for this to work everyone must be clear about the goal, we must understand it and we must play our part in achieving it. We have to get more Irish people working and Ireland making money again and this will happen if everyone in whatever role they have adopts a genuine “Make It Happen” approach. If regulators, fire officers, planning officials, politicians, bankers, health & safety officials, ESB, phone and broadband installers, approach their jobs with a “Make it Happen” approach then more businesses would open and more events and activities would be possible. I am not saying allow bad practices but approach the problem with a solution mindset instead of a “Can’t do that” one and watch the difference. Liquidators, bankers, NAMA, regulators – there is an insatiable appetite now to shut people and businesses down (and this does include builders). Work to the Green Agenda – keep business open, keep people who want to continue, open, instead of shutting them down. If this was a genuine objective, then better solutions would be found than those we are seeing currently. We are haemorrhaging money in the public service and we just can’t afford this anymore. Let’s provide for our people who are sick, let’s give our children the best possible education and let’s provide financial support for those misfortunate enough not to have work. However, don’t rip Ireland (us) off with unnecessary bureaucracy, claiming welfare and other benefits illegally and not working at full capacity. Be honest, have a Green agenda, it’s our country, let’s protect it. The budget, the budget ..Ok, this will take money out of the system, which is going to affect everyone. A few things here – If we adopt a Make it Happen approach the fall will not be as hard, if we take the opportunity to squeeze out excess and inefficiency in the public service it will be a great days work, which should have been done a long time ago, if we use the taxation mechanisms to encourage the better utilisation of assets and encourage people who are sitting on Celtic Tiger wealth to start investing then it won’t be so bad. We have to encourage people to spend money on Irish products and Irish services, proactively keeping money circulating in the country. I’m talking a lot more that consumers looking out for Irish products when they are doing their shopping. I am talking about purchasing managers deliberately choosing Irish products and services and retailers making this a priority and giving the Irish products pride of place on the shelves. This isn’t a cop out for Irish suppliers, who have to manage their businesses to the extent that they can compete with foreign alternatives. 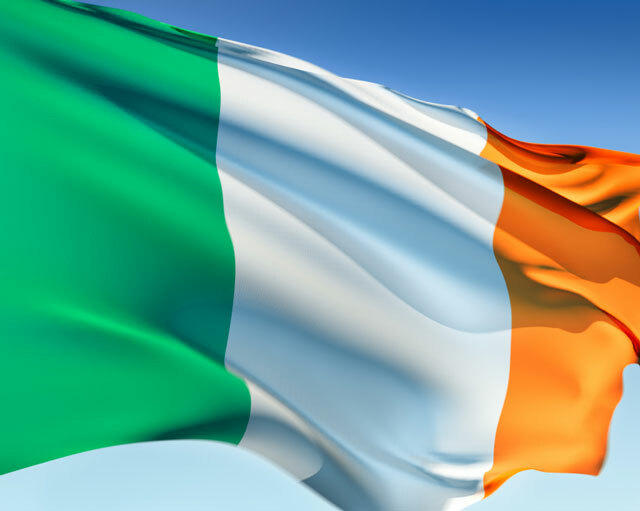 Besides products we need to choose Irish service providers – have a genuine buy Irish agenda. This money will come back to you somewhere along the way. As part of this initiative I would encourage all companies to keep as many people working as possible. Not a time for making a few quid extra by outsourcing to India. Finally and most importantly we need to get back to celebrating our fabulous country and start talking it up. It is a great place to live and we need to stop knocking it. In everything we do we need to be conscious of our Irishness and do everything to project the right image. This includes all of us including even Brian Cowen! We should continue and encourage events and activities that showcase Ireland abroad. Quite simply we need to start “Talking Ireland Up”. Maybe all of this is a little Utopian but I do feel that collectively we need to lift our heads, pull together in the same direction and grasp a NEW Green Agenda, an Irish agenda.